The turn of a new year presents the perfect opportunity to re-evaluate your health and wellness routine. By setting new goals and intentions for yourself, you can not only improve your health, but also boost your happiness. After all, when you feel good and have less pain, it’s often easier to be in a better mood. In fact, studies show that there is a direct correlation between pain and mood: Stress and anxiety can cause physical pain and tension to manifest, whereas pain can cause depression and irritability. There are steps you can take, however, to break this cycle. By finding effective ways to boost your health and wellness, you can also boost your happiness. Today, we will look at a few healthy habits to practice in the new year to do just that. If you have questions or want to schedule an appointment for gentle chiropractic (no twist) care, reach out to your Top Rated Local® Overland Park chiropractor. At Adjust Your Health, we offer chiropractic and massage for neck and back pain relief, sciatica relief, as well as whiplash treatment and so much more. Walking for at least 30 minutes a day reduces pain and stress on the spine. Additionally, walking is a great way to invigorate your mental and emotional well-being, especially when you walk outside. The fresh air, scenery, and sunshine can really help boost your mood and help you refocus. Avoid or limit consuming stimulants like caffeine and nicotine. Stay active to regulate the body’s “fight or flight” response. Schedule regular chiropractic and massage treatments. Keep a journal to express and record your thoughts and emotions. Increase calm and relaxation before bedtime by stretching, taking a warm bath, using calming essential oils like lavender, reading, or sipping soothing herbal tea. Try to go to bed around the same time each night to get your body on a routine. Avoid drinking caffeine after 2 pm. Don’t go to bed on a full stomach. Limit screen time before bed to reduce visual and mental stimulation and eye strain. Make your bedroom a soothing, serene oasis. At Adjust Your Health Chiropractic, we believe your health and wellness are of the utmost importance. Gentle chiropractic care is a safe and effective treatment to not only help the body heal from injuries, but to also provide long-lasting pain relief, and prevent illness and disease. By aligning the spine, the nervous system can function better, thereby supporting and strengthening other systems in the body that improve and maintain overall health. When the spine is properly aligned, the body can feel better and move better, allowing patients to experience a reduction in pain. When your body is happy, your mood often is, too! 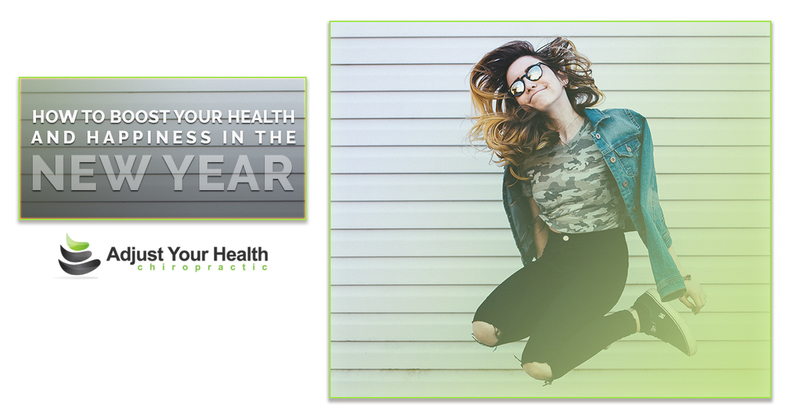 Find out how gentle chiropractic wellness care can help you feel your best this year. Call your trusted Overland Park chiropractor to arrange an appointment. Until next time, thank you so much for reading!